With two flutes playing at once it's as if a small band has struck up. 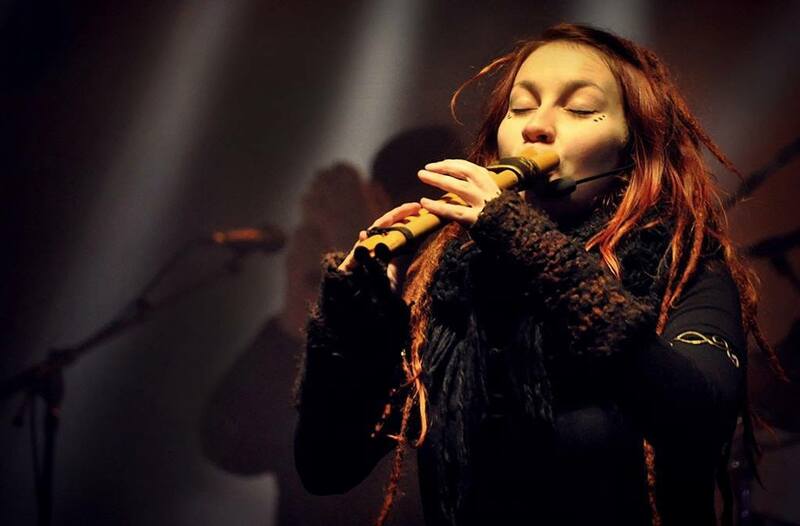 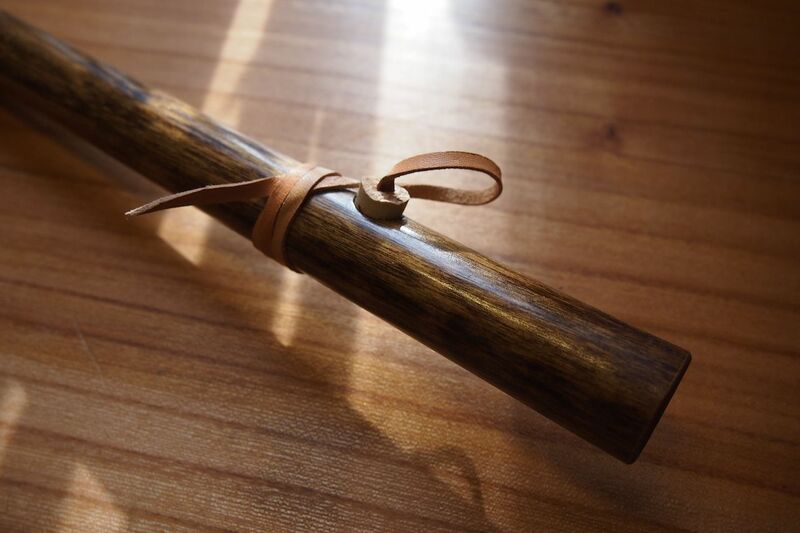 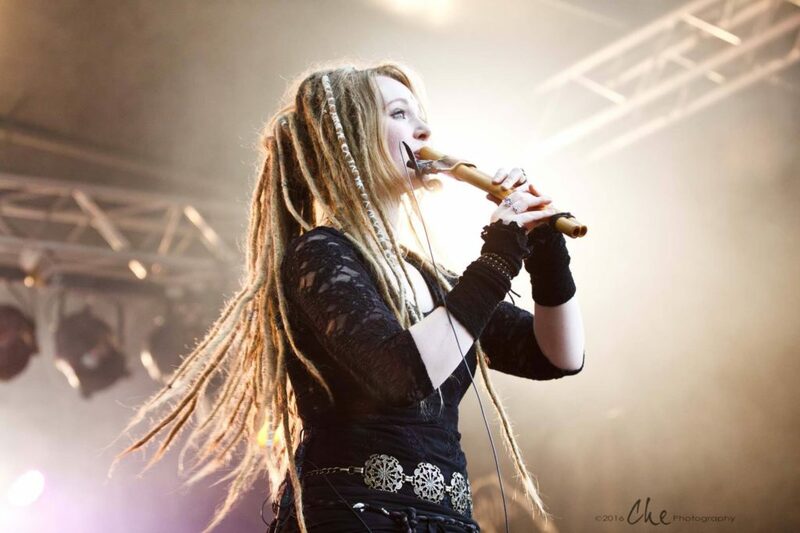 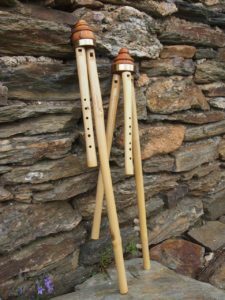 The chanter has six finger-holes and is in a diatonic major, like the penny whistle (tin whistle, Irish whistle). 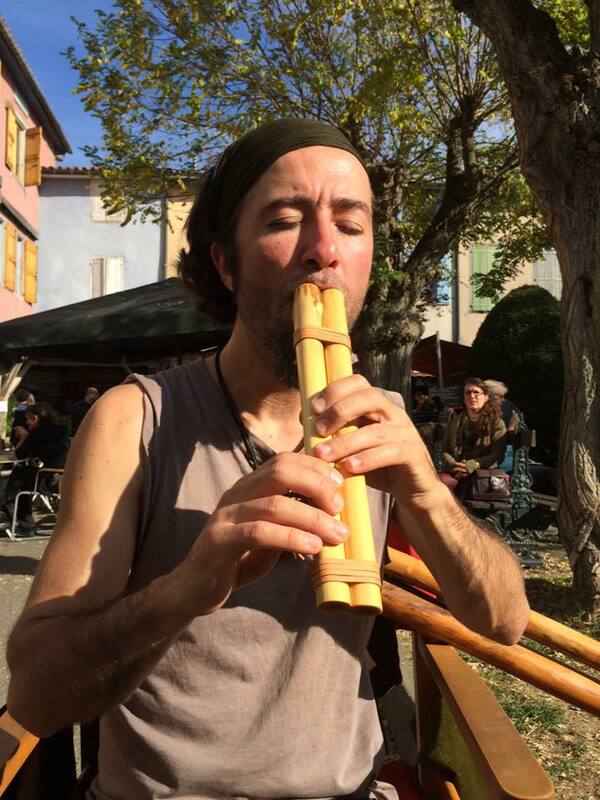 Here it is paired with a second flute acting as the drone (bourdon). When over-blowing forcefully on the drone, overtones are produced which match the chanter. 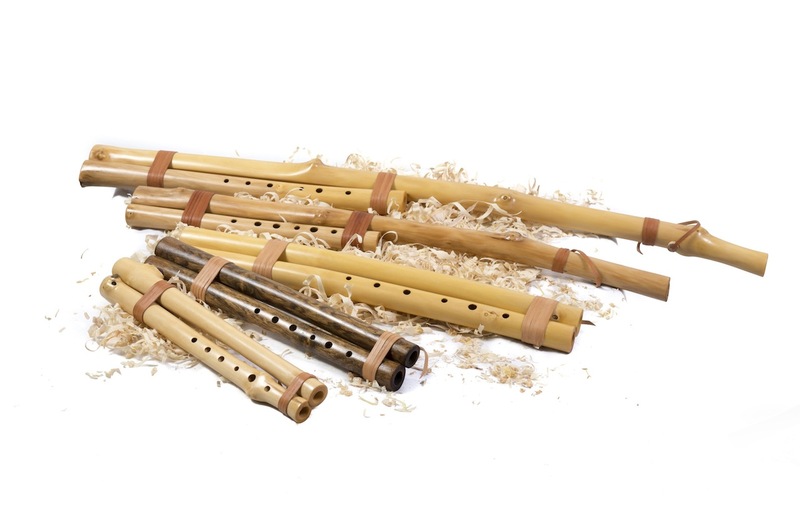 The two slits of the windways permit to play the flutes together or separate. 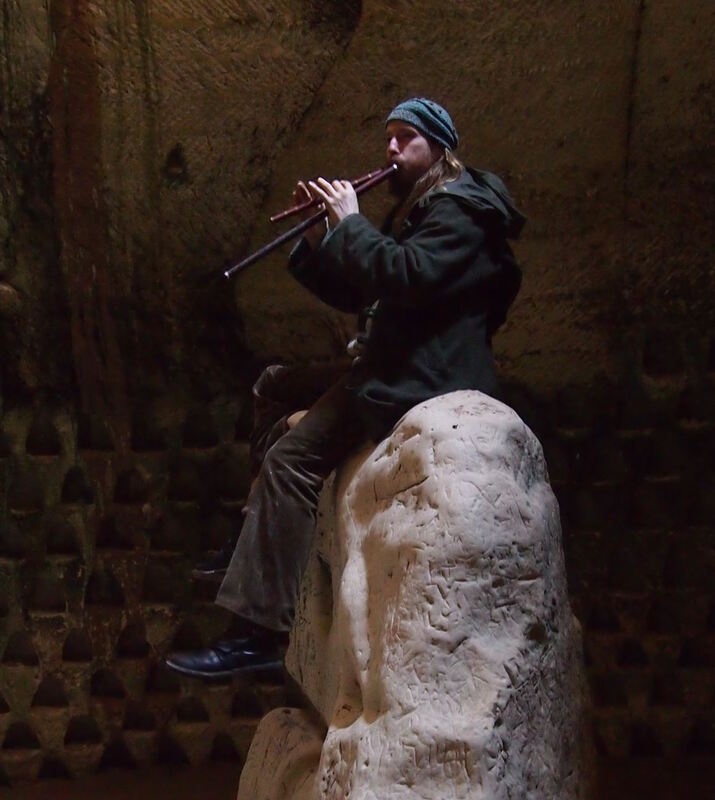 A side-hole in the drone gives the capacity to play in a minor key. 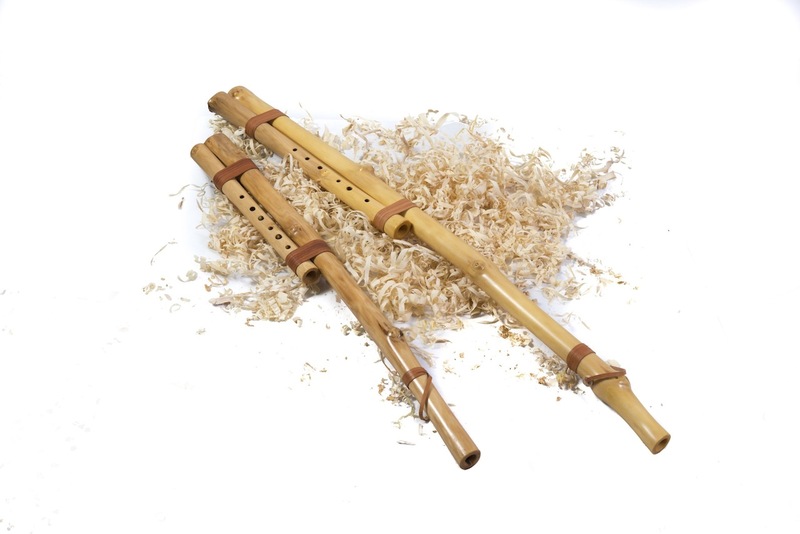 or twice the length which makes it one octave deeper and has a greater range of sounds, and can be played as an overtone flute. 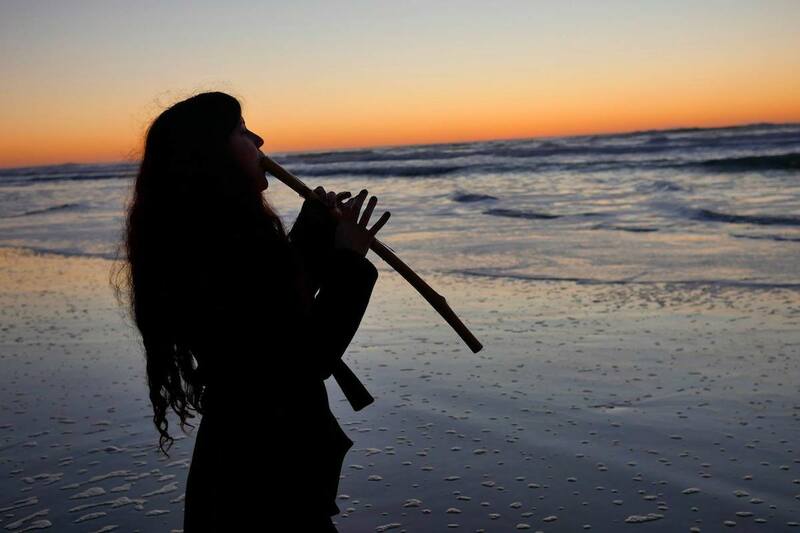 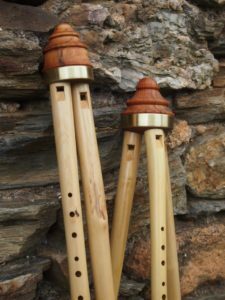 If the drone is built twice as long as the chanter, then on over-blowing it plays in harmony with the chanter on the octaves,fifths and thirds, and furthermore can still be played as a fine overtone flute. 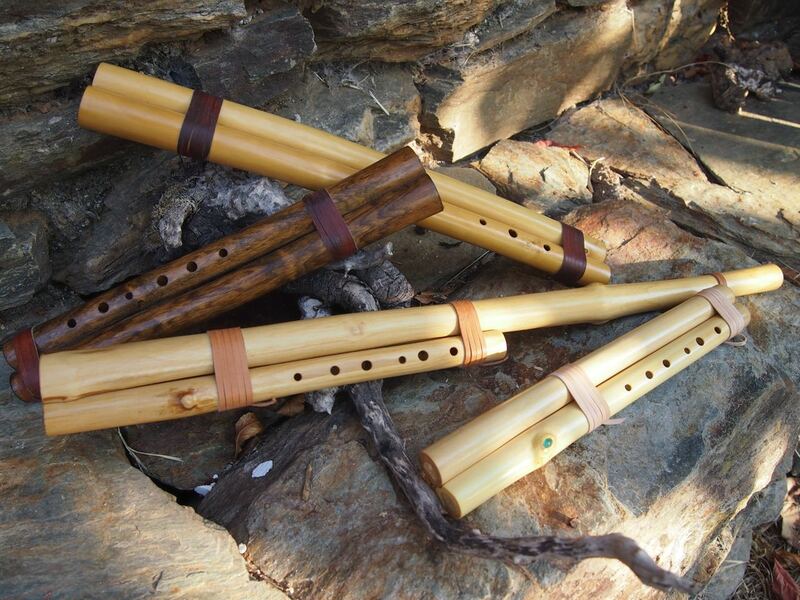 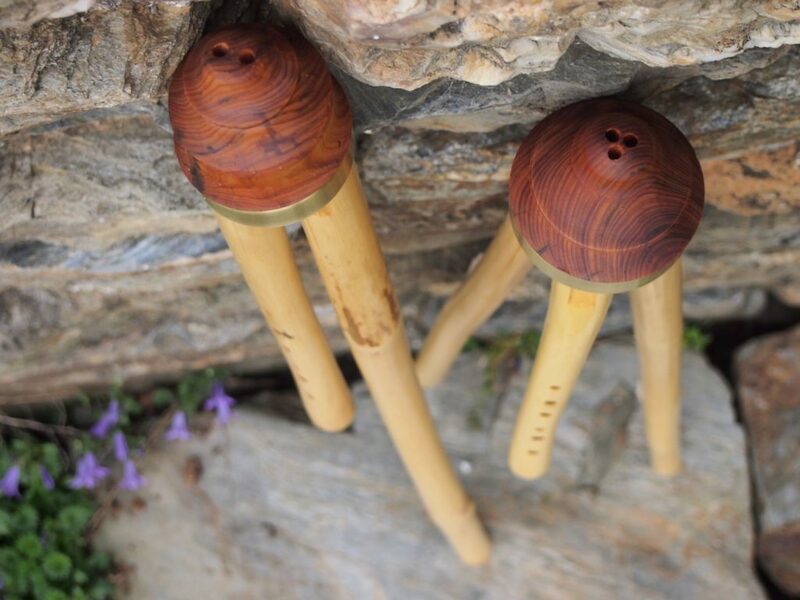 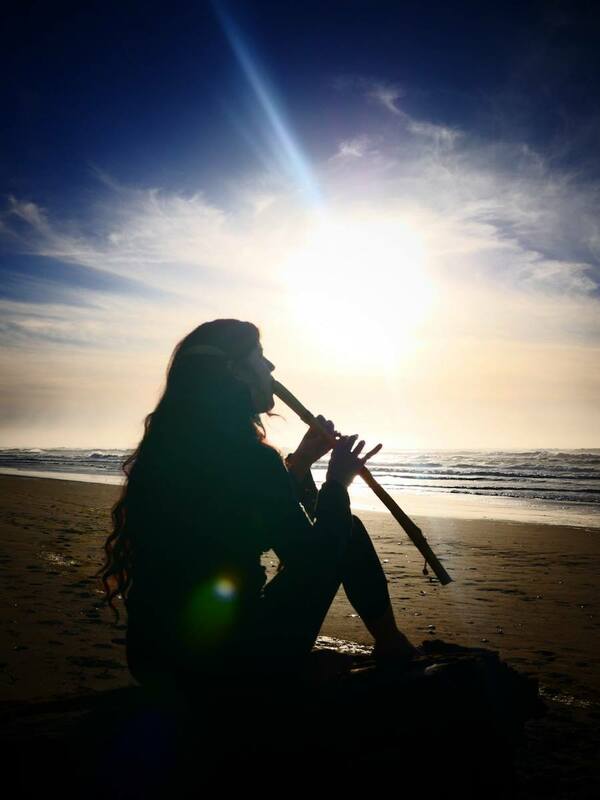 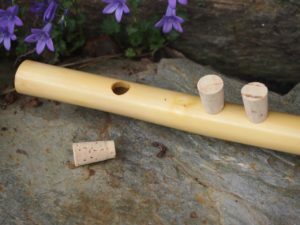 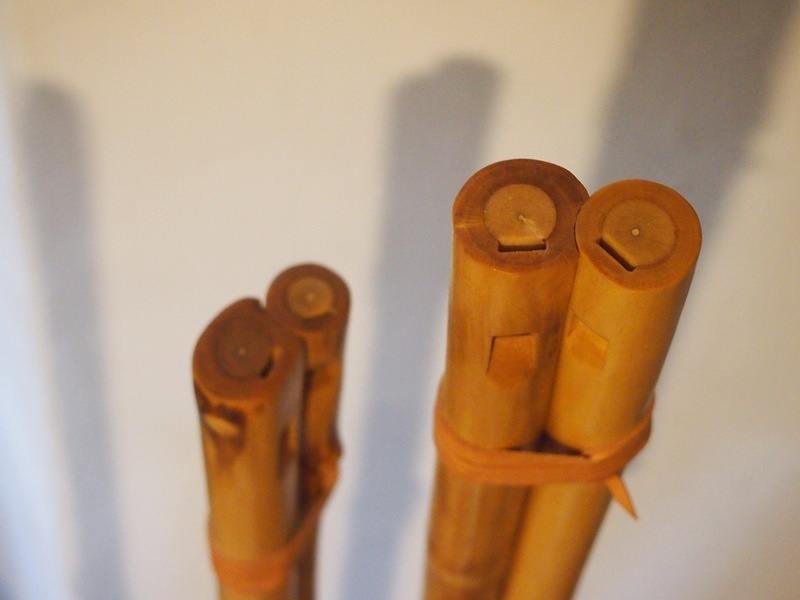 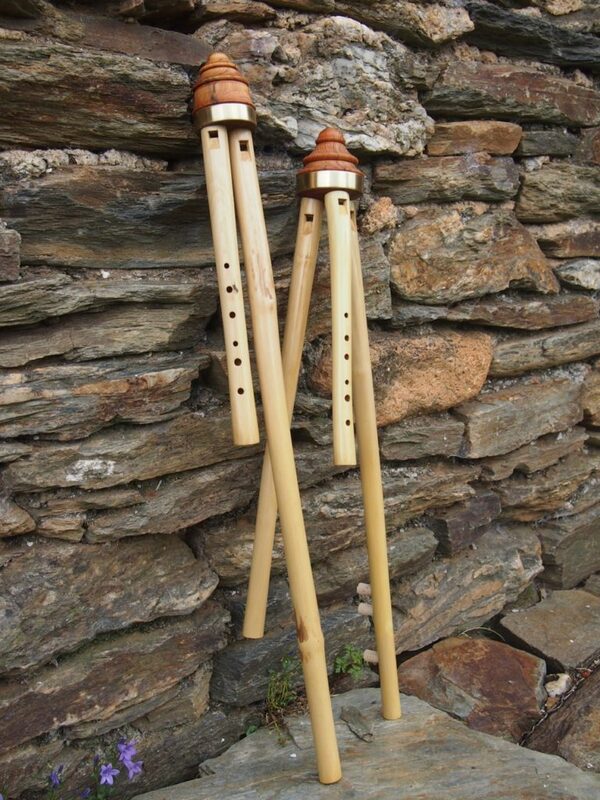 The flutes are connected by an adapter made of juniper. 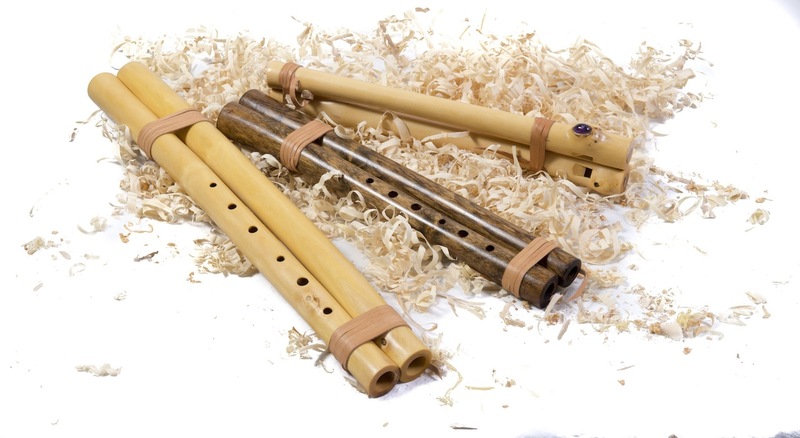 They can be blown separate by different blowing holes in the adapter or be taken out of the adapter and played a a single flute. 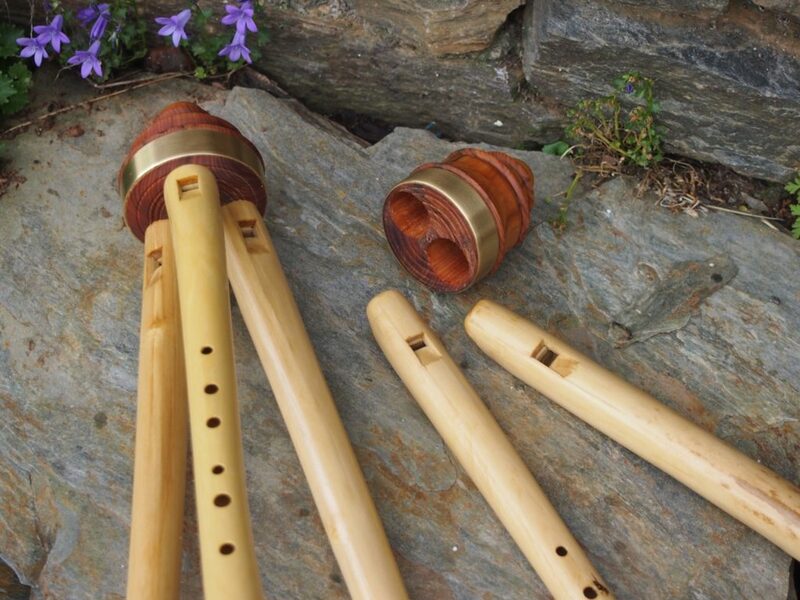 The drones have several tuning holes, closed by cork.